President Barack Obama's plan to cut payroll taxes for a year would provide big savings for many workers but makes Social Security advocates nervous that it could jeopardize the retirement program's finances. The plan is part of a package of tax cuts and extended unemployment benefits that Mr. Obama negotiated with Senate Republican leaders. It would cut workers' share of Social Security taxes by nearly one-third for 2011. Workers making $50,000 in wages would get a $1,000 tax cut; those making $100,000 would get a $2,000 tax cut. The government would borrow about $112 billion to make Social Security whole. Advocates and some lawmakers worry that relying on borrowed money to fund Social Security could eventually force it to compete with other federal programs for scarce dollars, leading to cuts. Social Security taxes "ought to be held sacrosanct," said Rep. Earl Pomeroy, D-N.D., chairman of the House Ways and Means subcommittee on Social Security. "When you start to signal that the (Social Security) tax levels are negotiable, you end up in long-term trouble, I think, in terms of making absolutely certain that the entitlement funding streams are secure," Pomeroy said. 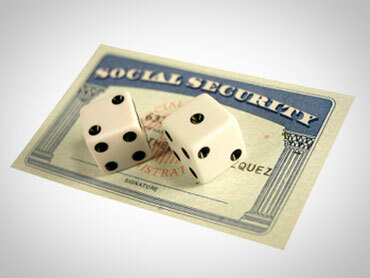 Social Security is funded by a 6.2 percent payroll tax on the first $106,800 earned by a worker. The tax is matched by employers. The package negotiated by Obama would reduce the tax paid by workers to 4.2 percent for 2011. Employer rates would stay unchanged. Obama administration officials say that a payroll tax cut is an efficient way to stimulate the economy by immediately increasing take home pay for about 155 million workers. The nonpartisan Congressional Budget Office agrees, and many business groups and Republicans support it.